You've done the work, now share the progress. Create your documents from templates, email automatically using templates, SMS clients quickly and without any clicks. Keep customers happy by keeping them informed, learn more. Send Customised Emails In Seconds, Email Automation Software For Humans! Create a template - Create rich email templates in a centralized storage location. Allow all your users to create the same message and be on the same page. Learn More. Create your emails - Populate your templates with data from your cases. One click, no tweaking required. Learn More. Or write your emails by hand - Alternatively, hand write, craft and deliver your message with personality. 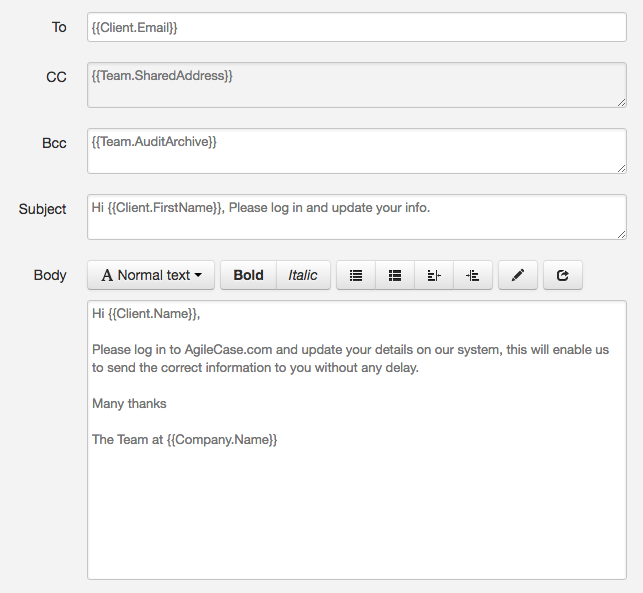 AgileCase has a rich emailing experience that integrates with all email providers. Create a template - Create a libraries of templates that make easy to find what you are looking for. Learn More. Create your document - Create documents that automatically get populated with information from your cases. Learn More. 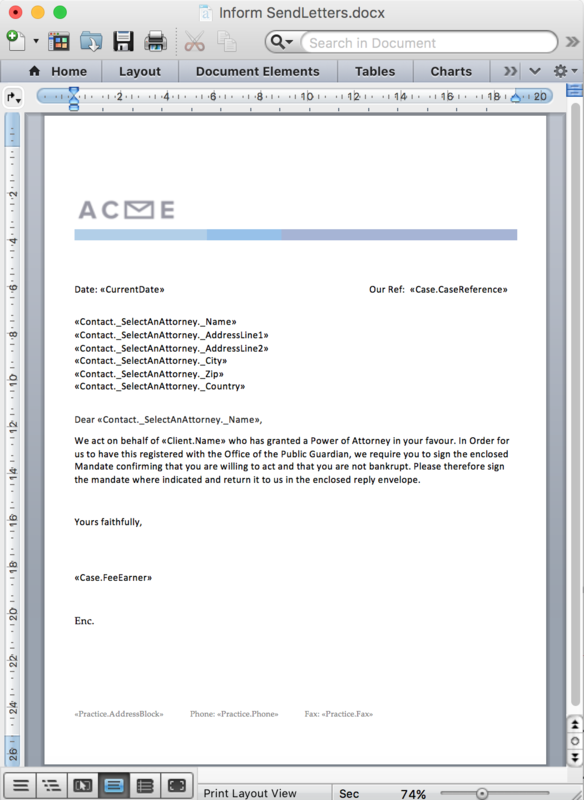 Export to PDF - Need a read only, secured version of your document?, just export to PDF and send. Learn More. Create a template - Create SMS templates using the same templating syntax as documents and emails - keep the same message across mediums. Learn More. Create your SMS's - Create, send and store your SMS's centrally within your cases.. Learn More. 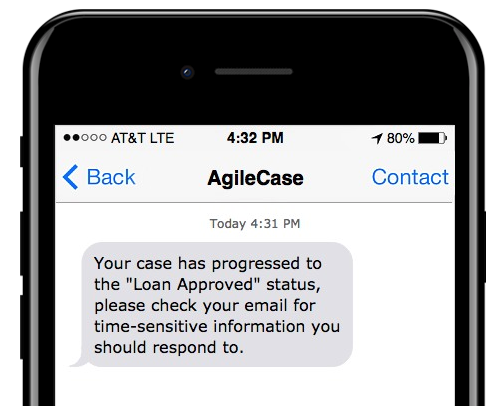 Or write your SMS by hand - Send a quick update to your clients in seconds, faster than using a phone! Learn More. Use the API in AgileCase Scripts - Access the AgileCase API from within AgileCase scripts, create emails, documents, document share-links and much more - make your system come alive. Learn More. Data In - The AgileCase API offers a simple, secure and robust option to get information into AgileCase from any other platform. Learn More. Data Out - Send information to other 3rd party systems, in real-time, from singular cases or a batch. Infinitely flexible and powerful. Learn More. "Hours Of Time?, More Like Weeks!" "Our Team Always Use The Latest Template"